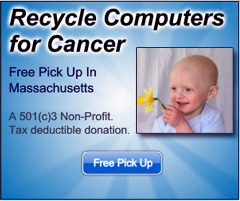 We are helping businesses in the South Shore come up first page organically on google, yahoo, bing and ask. We analyze the competition and develop a strategic plan to increase your business. We have over 25 years of Web Development experience and we know the correct way to design a site to come up highly on google. We can help your business not only survive, but thrive for this new decade. We are local here in Weymouth, Massachusetts… not based across or out of the country. You can stop in anytime we’re open to speak with our Developers about your website, not leave messages and play phone tag. We also offer custom programming. Some of our clients come to us with ideas for websites and we create unique websites that carefully meet the needs of our clients. We also specialize in custom storefronts using paypal or credit cards. If you have an idea, Computer VIP can bring it to life. Stop in or call today to get a no hassle, free estimate and consultation about your project. (781)331-3120.